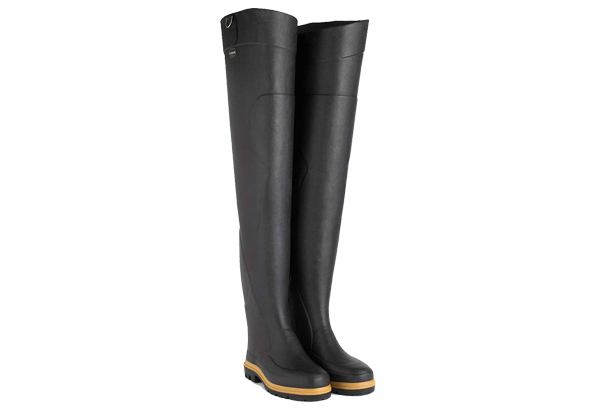 LE CHAMEAU Oceane Hip Waders are reinforced professional thigh boots offering superior robustness. They are quick drying with a hard-wearing Ponti lining. The dual-density Ostrea sole gives a strong grip and resistance to abrasion. They are sold without a shoulder strap. These Hip Waders are a shorter version of the familiar Le Chameau Chest Waders. Available in sizes 5 – 12 (European 38 – 47).